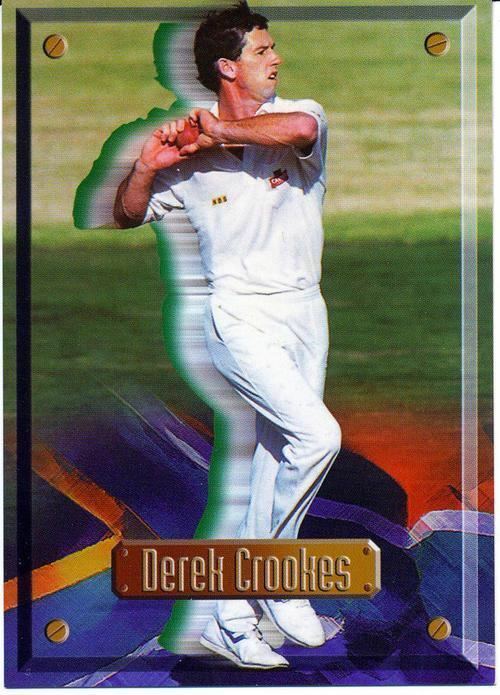 Derek Norman Crookes (born 5 March 1969) in Mariannhill, Natal is a former South African cricketer and played 32 One Day Internationals for South Africa from 1994 to 2000. In domestic cricket he played for Natal, Gauteng, Easterns and the Highveld Lions. He was educated at Hilton College. His father, Norman Crookes, was an off-spinning all-rounder who played for Natal in the 1960s and toured England with the South African team in 1965, but did not play a Test.